Book reviews (good or bad) provide important feedback to the authors, and without reviews, a book gets lost in the thousands of other books that are released every month. Every author appreciates and values the opinion of readers, but we’re strongly discouraged from engaging with readers and thanking them for their reviews on publishing sites. The authors of Our Author Gang celebrate and appreciate the readers by posting our favorite reviews between September 10 and 22. Every day a different author of the group will post their books and quotes from their readers’ favorite reviews. Thank you for your interest in our books and happy reading! 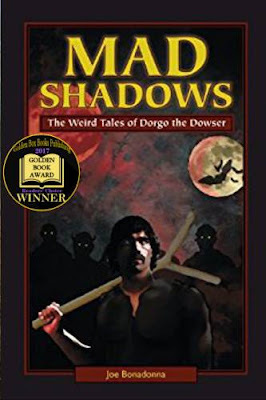 Mad Shadows: The Weird Tales of Dorgo the Dowser is the winner of the 2017 Golden Book Readers’ Choice Award for Fantasy. I love this review because Dave Brzeski is a well-respected reviewer, and the British Society of Fantasy is a highly-regarded e-magazine. “Joe Bonadonna is one of the growing number of authors whose work I have been meaning to get around to for quite some time. This particular book has been available since the beginning of 2011. At first sight, it’s classic sword and sorcery, set on a world populated by fighting men, merchants, wizards and a multitude of mythical, non-mythical and just plain made-up beasts. There’s a difference, though, in the style of the storytelling. It’s a first person narrative, executed very much in the style of the hard-boiled private eye genre. I was reminded of Fritz Leiber’s Lankhmar tales, crossed with Chandler’s Philip Marlowe—sort of fantasy-noir. Dorgo Mikawber, himself, is roughly the equivalent of a private detective on this world, as he is a licensed dowser (complete with dowsing rod) of odylic (magical) energy, employed to deal with crimes of a supernatural nature.” — David Brzeski, British Society of Fantasy. Mad Shadows II: Dorgo the Dowser and the Order of the Serpent is a semi-finalist in the 2017 Golden Quill Award for Fantasy. 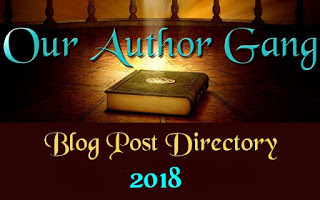 I love this review because Fletcher Vredenburgh is a prolific columnist for Black Gate online magazine, which is a very popular and successful e-publication. “Joe Bonadonna is a heck of a teller of hard-boiled action and adventure tales. After too many years out of the toilsome fields of swords & sorcery, he returned in 2010 with a top-flight collection of short stories about one Dorgo Mikawber, dowser of magic and handy with a saber. I discovered Joe and that book, Mad Shadows (2010) here on the virtual pages of Black Gate, and reviewed it over on my site about four years ago. 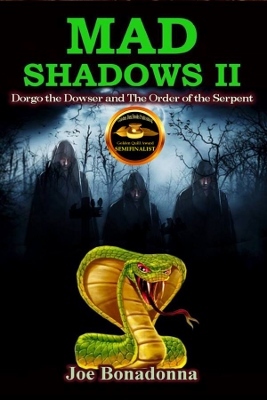 After another significant hiatus he’s returned with a second collection of Dorgo’s adventures: Mad Shadows II: Dorgo the Dowser and The Order of the Serpent (2017). That’s a lot of title for a book that just crosses the two-hundred page mark, but it gives a nice sense of the pulpy goodness that lies betwixt its covers. Dorgo Mikawber was raised in an orphanage, served in the army, and now makes his living as a magical investigator and finder of lost people.” — Fletcher Vredenburgh, Black Gate online Magazine. 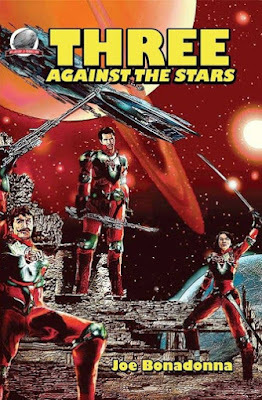 Three Against The Stars is old-school, pulp magazine Space Opera in the grand tradition of Henry Kuttner, Edmond Hamilton, and E.E. “Doc” Smith. I love this review because William Patrick Maynard is a great author in his own right, and Black Gate is an award-winning e-magazine. “Bonadonna has constructed an empire and galaxy that largely escapes the looming shadow of Star Wars and Star Trek to exist as an original work in its own right. Three Against The Stars is a rip-roaring adventure ride.” — William Patrick Maynard, Black Gate Magazine, author of The Terror of Fu Manchu, The Destiny of Fu Manchu, and others. Great reviews Joe. It's nice to see that someone in your field, someone esteemed, likes and appreciates your work and talent. Thank you, Toi. Yes, I got very lucky! 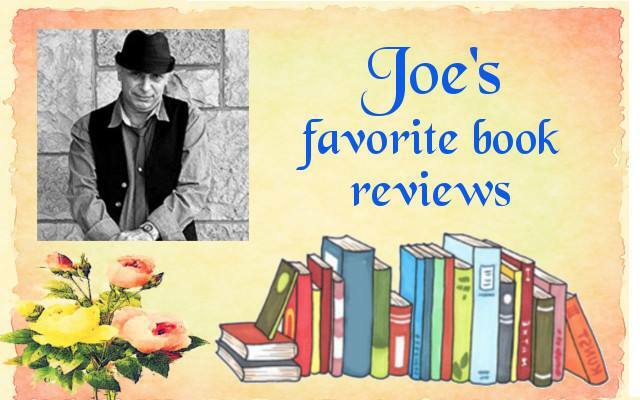 Today, Joe Bonadonna​ shares some of his favorite book reviews over at #OurAuthorGang. 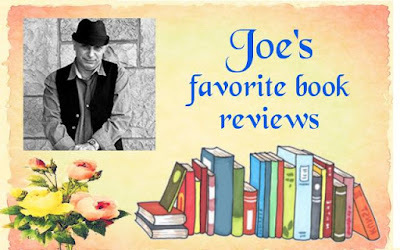 Today on #OurAuthorGang, Joe Bonadonna shares his favorite reviews on three of his books -- which happen to be my favs!! Yes, I own all three of these books and highly recommend them to fantasy and science fiction fans! Stop by and check out his post! I agree with those reviews! Joe is a great writer and I highly recommend all three books! Some great reviews. I will have to add the books to my tbr pile. Today we take a look at a couple of Joe's favorite reviews. Looks like it's my turn today on #OurAuthorGang to share some of my favorite reviews, folks. Please check it out. Thank you! A lot to be proud of here, Joe! I can see why you love the review for Mad Shadows. And a huge congratulations on the award! +Lorraine Carey -- thank you. Fabulous reviews Joe. Great to see readers really enjoying your work, makes it all worth while. Thank you, Nikki. Even touching the hearts of a handful of people makes it all worthwhile. That's all a reader needs to know! Great reviews Joe! Fletcher said it all: "Joe Bonadonna is a heck of a teller of hard-boiled action and adventure tales"
Thank you, Erika. Yeah, Fletcher knows "his stuff," and I consider his reviews a great honor.